As the Passageway Reopens, Mysteries and Peril Emerge. It’s been six months since the inexplicable passage to Zarahemla disintegrated and disappeared. Kerra and Brock McConnell have been reunited with their long-lost father, but an emptiness is left in Kerra’s heart as she watches her courageous Nephite warrior, Kiddoni, fade away in a vortex of time — possibly forever. As a violent flash flood washes through the forested hollow near Leeds, Utah, it reawakens the Whistlers and reignites the mystical rift that leads to ancient America. Kerra and Brock quickly learn of multiple secrets their father did not reveal about his twelve-year sojourn in the first century AD. Soon they realize that such puzzles could have mind-bending ramifications for their lives and draw them into a world rife with dangers as lethal as obsidian blades, enemies more ruthless than the darkest savages, and evils so pervasive they could destroy their family once and for all. 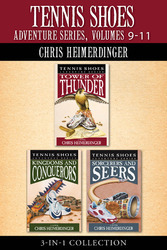 In the tumult of their adventure, Kerra and Brock soon find themselves in league with familiar friends from other Chris Heimerdinger novels, fighting alongside these valiant heroes and binding together Escape from Zarahemla with the imaginative Tennis Shoes Adventure Series! 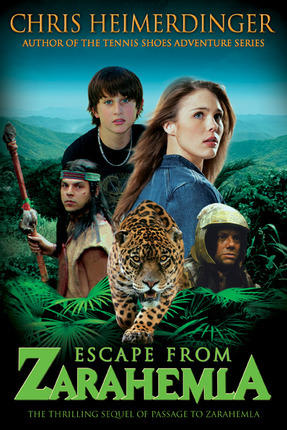 Dive into the fray as two wildly popular adventure series merge into one! CHRIS HEIMERDINGER is the writer/director of the movie Passage to Zarahemla and the songwriter/producer of the album Whispered Visions. However, he is the best known as the author of the popular Tennis Shoes Among the Nephites Adventure series as well as Passage to Zarahemla. Chris has imagined a tale that bridges modern times with the world of The Book of Mormon. 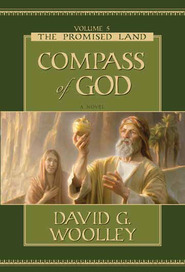 He has published a novel sequel to Passage entitled Escape From Zarahemla which ties together the Zarahemla world with the Tennis Shoes world in a unique and fascinating way. He has also recently published Muckwhip's Guide to Capturing the Latter-day Soul — a modern satire featuring a fictional devil named Muckwhip striving to “bring down” one specific member of the LDS faith. Chris is the father of five children and five step children. His second oldest son, Ammon, is currently serving a mission in Columbia, South America. The joys of Chris's life are his children and his eternal companion, Emily. My 14 year old, who is an avid reader, really enjoyed this book. It seemed to set off his imagination about scriptural events, too!